A miracle comes to those who belive that there is a miracle! : Diário de uma viagem: podemos voltar? Diário de uma viagem: podemos voltar? Mais uma vez, às cinco da manhã, já estávamos mais do que acordadas e a percorrer as ruas de Paris para apanhar o autocarro que nos levava novamente para Beauvais. Segunda chegou rapidamente e lá tínhamos nós de voltar aos nossos locais de origem. Só nos faltava bater o pé para dizer 'não quero' mas por mais que o fizéssemos, tínhamos mesmo de voltar. Tanto durante a viagem de autocarro como de avião, haviam sempre memórias a passar-nos pela cabeça. Ainda não tínhamos caído em nós que isto tinha acontecido... Assim, dou por mim a sentir necessidade de agradecer a algumas das pessoas que fizeram deste fim-de-semana dos melhores da minha vida. Thank you to french kiss me that showed me that not all the french fans are anti-social. Thank you for helping us and for being kind to us. To you guys, my six babys, thank you! I had really bad words to say to you but you know how to control my feelings so now I only can say stupid love words... So, first my leader Soohyun, I promise that next time I will just ask for a hug because that means more than a photo but that time, I just though about that... I'm sorry. But now I know and I grew up, so just 'thank you' for the first words, thank you for your tears and thank you for being happy when you saw our flag. We portuguese kiss me love ukiss and that means a lot. Hoon, you can't take of your shirt like you did, you know... Girls can't control their feelings, ahahaha... Ok, seriously, thank you for smile when you saw the kiss me in meet and greet, was like a warm 'welcome'. Kiseop how can you be crazy at stage and like a ghost on meet?! I would like to smile at you and stuff and the only thing I did was showing my stupid face and I don't remember anything... you have that power, you know... but next time you will see! Kevin seriously I can't! your fanservice kills me and I don't know what to say... maybe this was like a test to prepare myself for the next time I see you, you need to prepare yourself too ahahah. ahm, Eli, you're the man! you're not calling for attention but I looked at you many times... too many times! But the fact that I couldn't meet you on Saturday, I won courage and I asked for a handshake and now I think that was unreal but means so much for me so thank you for not having refused my hand and for hold on tight, like that. you're warm and that's it ^^. And of course Jun, thank you so much! I still don't found the right words to tell how I felt before meet you, when I meet you and now. You're really important to me and see you smiling at me, talk with me and remember me, makes me feel more than happy. I hope that we can meet again and that time you can recognize me just like the first time. Until that, and for the next years, my desire is that you can be happy and do what you want and love the most. I will support you forever. So happy for being there with you, listening to the music I love and touches me so much!! 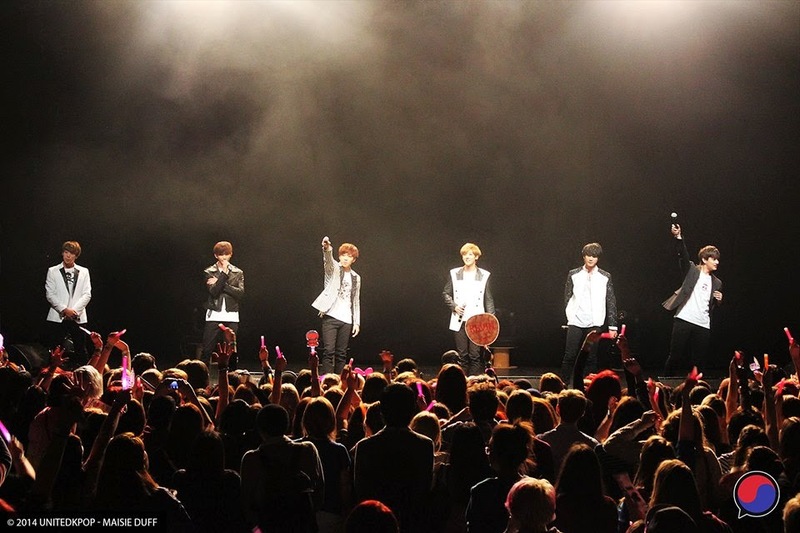 UKISS, you're the best! :D You put all that effort and feeling in your songs, its mindblowing! !